This collection of sheets offers inspiration when you want to set actions for professional development or demonstrate your progress. 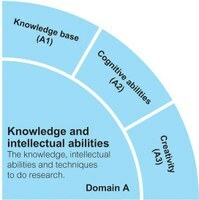 Each is mapped against the Vitae Researcher development Framework (RDF) including the relevant development phases. These sheets are also accessible from the RDF Planner. Click on a quadrant of the RDF to see sheets covering topics in that domain. The RDF Planner is a web-based app for researchers who want to advance their professional development: identify strengths, action plan, review achievements and create a portfolio of evidence. 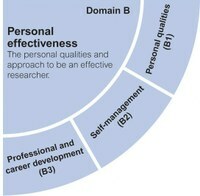 The Vitae RDF describes the knowledge, behaviours and attributes of a successful researcher. Our RDF lenses can help you focus on knowledge and skills you might want to develop for success in a specific context. Users of the RDF Planner can choose to filter using one of the lenses. 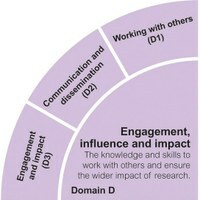 Supporting researchers with their professional development? If your institution offers an organisational subscription to the RDF Planner, why not use this page to promote the benefits of using it. You could also use individual sheets as handouts. Please acknowledge Vitae as the source. Use restricted to organisations with an active RDF Planner subscription.